Our guards are equipped to handle specific production needs, including 24/7 monitoring and protection of the location, equipment, and cast/crew. Our guards are trained to handle crowds on location, as well as assess and react to any suspicious activity. When you are in a highly visible position, you face heightened corporate and personal risk that require increased levels of security protection, risk management, planning and coordination. RMA utilizes the latest technology to monitor and manage your situation, catering to your specific risk management needs. You can rest assured that RMA law enforcement trained protection professionals have the ability to plan and prepare for your protection in a discreet, confidential manner. We provide local, national, or international protection, coordinating with proper authorities to ensure your safety. In addition, we offer advanced travel inspections to help minimize travel risks. RMA provides corporate investigations for employee and vendor misconduct to handle a current problem, or prevent future incidents such as theft, fraud, accidents, and misconduct. If you need to verify who is accessing places at certain times, we provide undercover surveillance video using monitoring CCTV systems, managed access control to monitor entry and exit points at sensitive locations, as well as alarm systems for controlled access. RMA offers background checks to screen employees, vendors, and other businesses. To further understand and reduce your risk, we provide vulnerability and threat assessments, business continuity plan development, disaster response plans, and emergency response procedures. We also administer Polygraph tests. 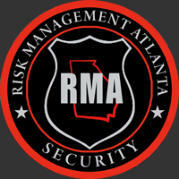 At RMA, we understand the added concerns of today’s risks to properly plan, prepare, and maintain safety at your event while also being able to secure the area in case of a crisis. Our trained and experienced professionals provide traffic control, crowd control, security and safety escorts for your special guests, as well as canine detection services to search for narcotics, guns, explosives, and more. We know how important it is for your event to go smoothly. And although no one wants something to go wrong, natural disasters, individual or group attacks, and other unforeseen emergencies can happen. Pre-planning and communication are vital during emergencies. To further reduce your risks, we provide vulnerability and threat assessments, disaster response plans, and emergency response procedures. Risk Management of Atlanta can provide canine detection searches for your private industry. We utilize certified canines and handlers with extensive law enforcement backgrounds who specialize in determining the presence of narcotics, guns, and explosives. Upon request, we can also provide accelerant (arson) detecting canines. When you have a specialized circumstance that requires off duty law enforcement, RMA has trained professionals who excel in corporate, private, and governmental security. Our experienced off duty law enforcement professionals are current police officers actively employed by local, county and state law enforcement agencies. They have certifications and training to provide the highest level of private security available. Our security patrol services provide a visible presence on your property to help reduce risks such as personal attacks, vandalism, and theft on your property. During property inspections, our patrol officers can provide a walking or mobile presence with the alertness needed to prevent problems before they arise. And for specialized situations, we offer canine detection dogs and handlers that can patrol in search of narcotics, guns, and explosives. Our security patrol officers provide: • Remote GPS tracking for assurance that rounds are being made; • Communication technology for quick access, reporting, and notifications; • Customized vehicles that can be branded for your business; and, • Flexible patrol hours. The hospitality industry has one of the most complex security needs. Besides having concerns for guests coming and going, there are risks with special events, guest and employee parking, misconduct relating to use of amenities, and more. Risk Management of Atlanta can help minimize risks with placement of our security professionals, including patrols, access control and CCTV systems, alarm response, and more. Using our remote technology, our off site security personnel will continuously watch over your property to detect suspicious activity. And if criminal activity is detected, they will be able to communicate with authorities to get an officer to your location immediately. In addition to security guards, or as a remote alternative, RMA can offer technological products that provide managed access control and monitoring CCTV systems in order to continuously watch over your property to detect suspicious activity. If criminal activity is detected, we communicate with authorities to get an officer to your location immediately. • Remote communication designed to alert and deter suspects; • Communication to enforcement authorities with immediate request for onsite assistance; • Customized equipment with installation; and, • Flexible remote monitoring hours. Our On-Site security services bring a powerful visible presence on your property to help reduce risks such as personal attacks, vandalism, and theft. Our officers have extensive knowledge to protect your assets and provide physical security measures with alertness needed to prevent problems before they arise.